Do you find yourself being triggered in stressful situations? Would you like to learn to manage stress more effectively? Do you feel worried and anxious when faced with stressful circumstances? This course will help you learn how to effectively manage your stress and avoid those stressful feelings such as anxiety, frustration and upset. Do you want to learn how to manage stress and remain relaxed in any situation? Do you wish you could feel resilient and calm in stressful situations? 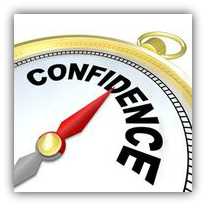 Would you like to have confidence in your ability to influence events and persevere through challenges? This course will help you manage your stress (before it manages you). This course will help you manage stress by choosing a more effective reaction in order to stay calm in any situation. Stress Triggers and What stresses you out! How we create our own Stress!